TAST 2014. 45.139. Beaded barb stitch. The working of this beaded barb stitch is on SharonB’s Pintangle. 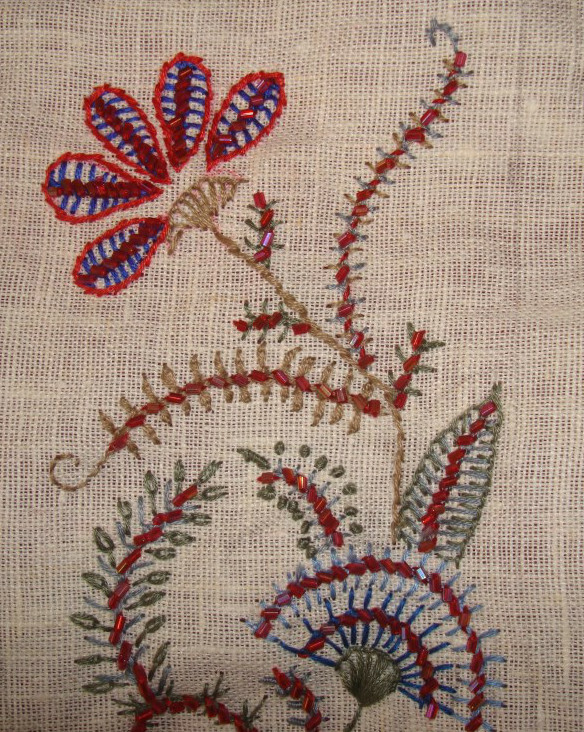 I worked this stitch on leaves and flowers. The sampler. Beaded whipping on cretan stitch in two colours. 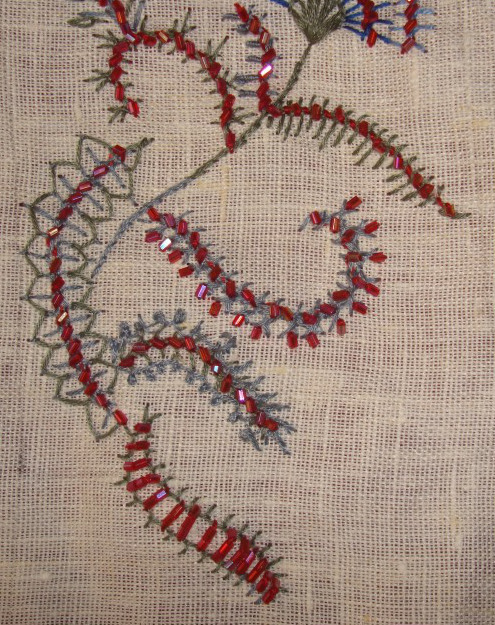 Buttonhole stitches with long tailed detached chains, french knots. And two rows of beaded barb stitch makes the second flower. Details of variations in the second part of the sampler. The last one with space between buttonhole rows, to work more than one bead on whipping stitch. I took the thread behind the fabric to work the subsequent beads. The stitches on the sampler before working the beads. The drawing was done while working the stitches, so there is no pattern as such for this sampler. it was interesting working like that. The colour inspiration was from a textile print on a calendar.